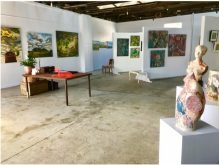 Local artist Geoff Roderick is a very quiet achiever, a hidden talent and he lives right here in Clunes Victoria. 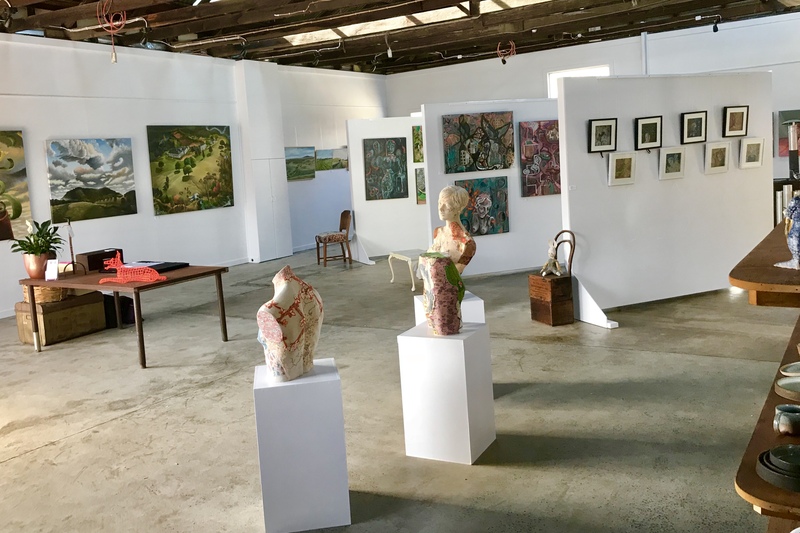 This current collaborative exhibition with print artist Merri Hogan, features 6 pieces of work, one Geoff has recently completed titled ‘Summer Garlic’ that he claims “is one of his best yet”, and five retrospective works of substantial size, inspired by the environ of a regional billabong. Geoff’s work is varied in technique and style, from figurative to abstract. His work is also eye catching as a result of his interesting use of colour to interpret his ideas.